Ancient nations found cities, erect temples, sail the seas, do battle, and make scientific progress. Their legions and galleys open new regions for settlement, and defend against the enemy. 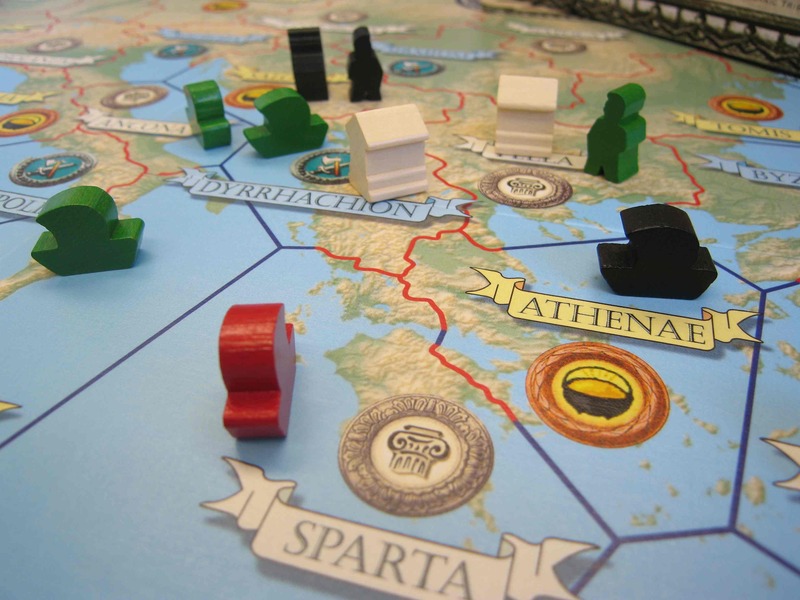 For action in two different ancient operational theaters, players choose a nation from among the Greeks, Romans, Germanic Tribes, Phoenicians, Carthinians, Persians, Arabs, Egyptians and Babylonians. Antike is not a game of conquest. The ancient nations do not compete to establish the biggest kingdom. Instead, each nation tries to win kings, scholars, generals, citizens and navigators over to its side. The nation that succeeds in gaining a given number of ancient personages first wins the game. Lead an ancient nation to victory! But watch out for your enemies, who will try to destroy your temples!